Mavericks forward Dirk Nowitzki has been ruled out of the team’s regular-season opener and will miss the next several games as he rehabs an ankle injury. Nowitzki, 40, underwent ankle surgery in April to remove bone spurs and has been shelved throughout the Mavericks’ preseason play. Coach Rick Carlisle made the decision to have Nowitzki sit out of Dallas’ opener Wednesday against the Suns in Phoenix. The 20-season veteran did not practice in training camp, either. 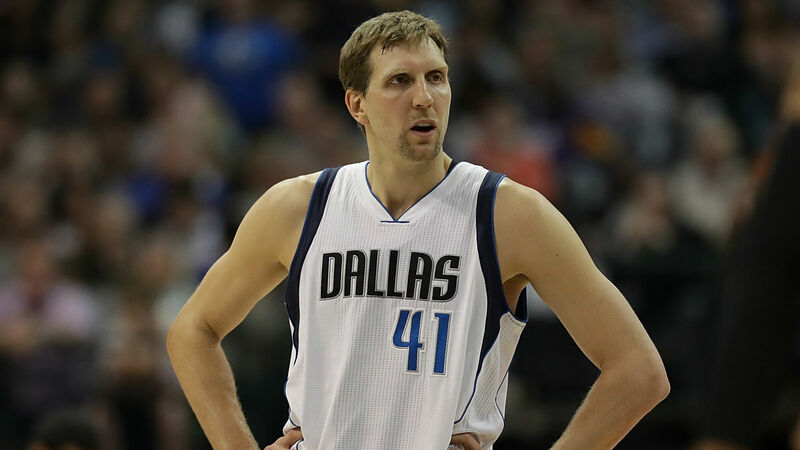 Nowitzki suffered a setback while playing in a pickup game a week before camp began, leaving him with soreness in the tendon in his left foot and ankle. Nowitzki, injury-free for most of his career, missed long stretches in two of the past five seasons. He sat out the first 27 games of 2012-13 after undergoing arthroscopic knee surgery in the preseason and then was out for 24 games at the start of the 2016-17 season with Achilles soreness. Injuries continue to plague the Mavs’ post players, as forward Harrison Barnes is questionable for Wednesday’s game against the Suns due to a hamstring strain that also has sidelined him for the entire preseason.